What better way for consumer electronics companies to make a big impression at CES than to show off a shiny new giant TV. After all, it’s hard to argue that an enormous 8K TV grabs more attention at a brand’s booth than a 5G smartphone that looks exactly like a 4G smartphone but has a more powerful antenna. 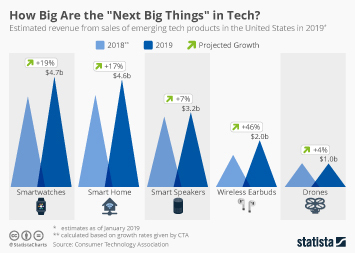 And so it’s a well-honored tradition that brands such as Sony, Samsung and LG open their CES campaigns by showing off the largest, thinnest and sharpest television sets their R&D departments can come up with. This year, Samsung and Sony have already matched each other with gigantic 98-inch 8K TVs, while LG stuck with 4K but made its biggest attraction a television screen that miraculously appears out of a rectangular box when called upon. As impressive as these television screens may be, they are little more than marketing vehicles, at least for now. 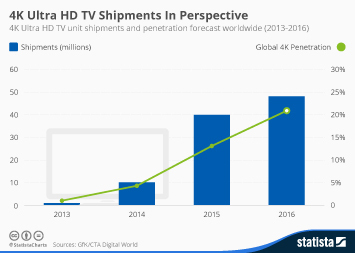 While Ultra HD television is in fact edging towards mainstream adoption, 8K is still years ahead of its time. 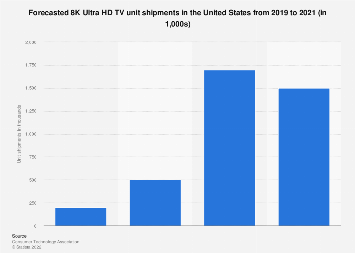 According to a December 2018 forecast by Strategy Analytics, 8K-ready devices will account for just 3 percent of active UHD TVs by 2023. 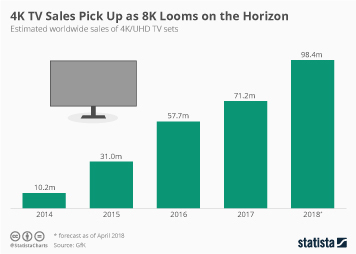 By that time, global 8K sales are expected to amount to 11 million units a year, up from just 400,000 in 2019. 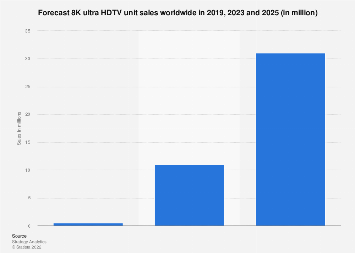 This chart shows a forecast of global Ultra HD TV adoption and 8K TV sales.